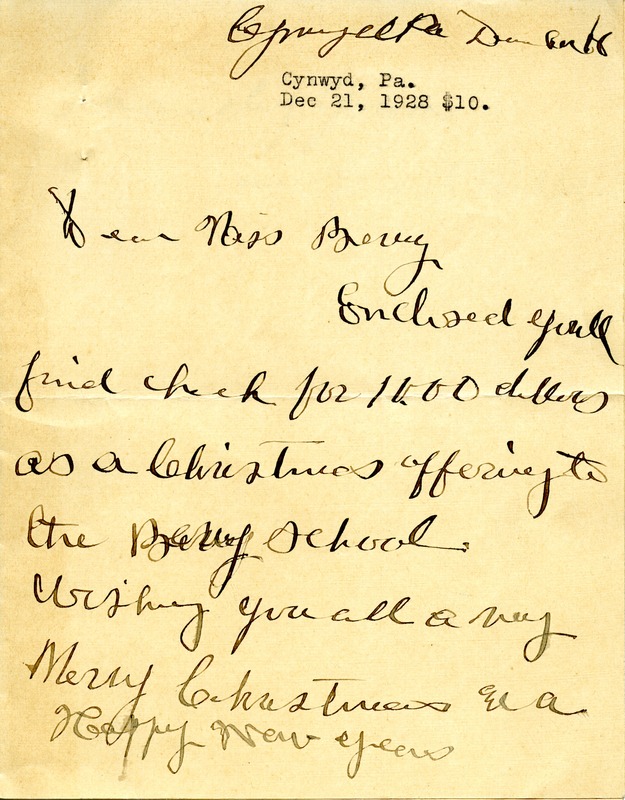 Miss Milligen writes with a check for 10 dollars for the Berry Schools. 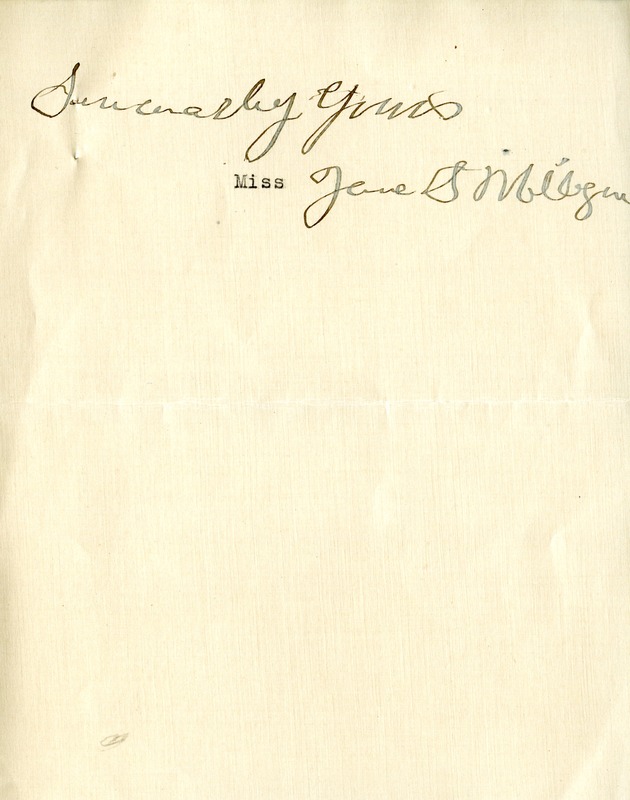 Miss Jene S. Milligen, “Letter from Jene S. Milligen to Martha Berry.” Martha Berry Digital Archive. Eds. Schlitz, Stephanie A., Chelsea Risley, Aaron Jackson, et al. Mount Berry: Berry College, 2012. accessed April 18, 2019, https://mbda.berry.edu/items/show/8417.